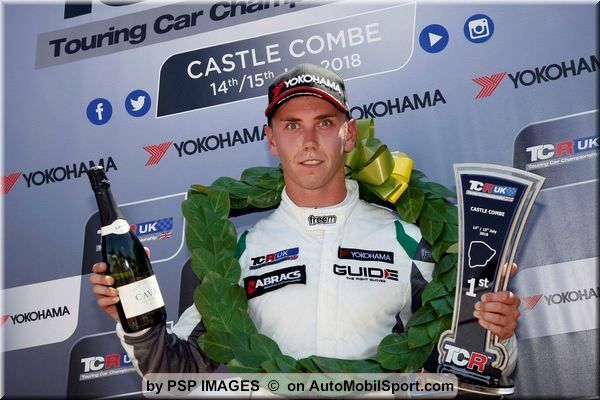 Huddersfield’s Daniel Lloyd signed off another winning weekend in style during rounds 7 and 8 of the TCR UK Championship, securing his 7th race win of the season at Castle Combe on July 15th. Another first-rate performance from the 26-year-old in the #23 WestCoast Racing VW Golf GTI was rewarded with a front-row start, 2nd place podium finish and his 7th race win from the 8 races contested so far this year – further cementing his lead at the top of the Championship standings. Carrying 60kg of compensation weight into the weekend, Lloyd had a tough task ahead of him, with the VW Golf over 50kg heavier than his nearest rival. In spite of the weight handicap and having never raced on the Wiltshire circuit before, Lloyd delivered a superb qualifying lap time. 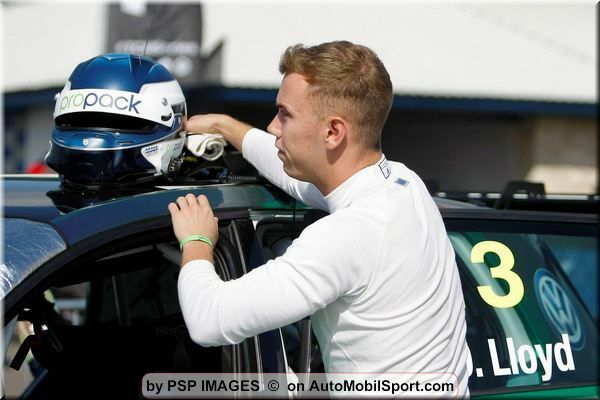 Claiming P2 on the grid for the weekend’s opening race – he narrowly missed out on pole by just 0.003 seconds. A less than perfect start in race 1 dropped the Yorkshireman down the order on the opening lap, but a determined drive through the pack saw Lloyd pilot the #23 Golf GTI back up into 2nd as the race progressed. Chasing down race leader Ollie Taylor on the closing lap, Lloyd made a strong last-gasp move to take the race lead from the Honda and his 7th race win of the season for the WestCoast Racing squad. Regrettably, celebrations were short-lived after officials handed Lloyd a one-second penalty for contact resulting from his move on Taylor – and the duo’s finishing spots were reversed with Lloyd recording a P2 finish. “The opening race was really hard work;” commented Lloyd. “Obviously I made a late move on Ollie [Taylor] but for me it was fair. 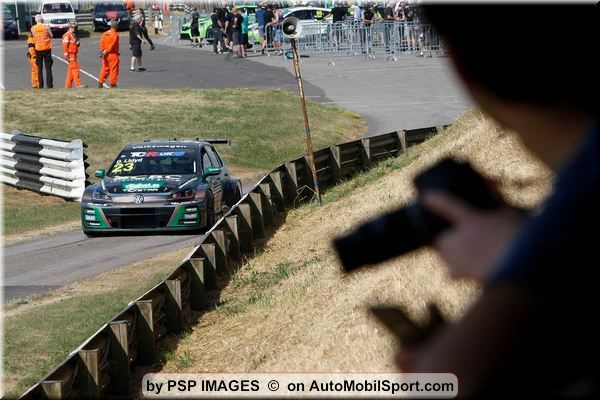 I had my car up the inside, and you can’t leave a gap like that in Touring Cars and not expect people to make a move. Starting from pole for race 2 by virtue of the reversed grid draw, a flawless lights to flag drive from the ABRACS-backed racer saw the #23 Golf GTI create an incredible 7 second lead from the following pack, before a late safety car deployment. Maintaining his spot at the head of the grid, Lloyd went on to take the chequered flag at the end of the interrupted race to end his frenetic weekend on a high note. “It was a bit of a tricky day so I’m over the moon the race 2 win;” added Lloyd. “I pulled a gap and I was thinking about a safety car but I just kept pushing to try and get the best lead that we could. 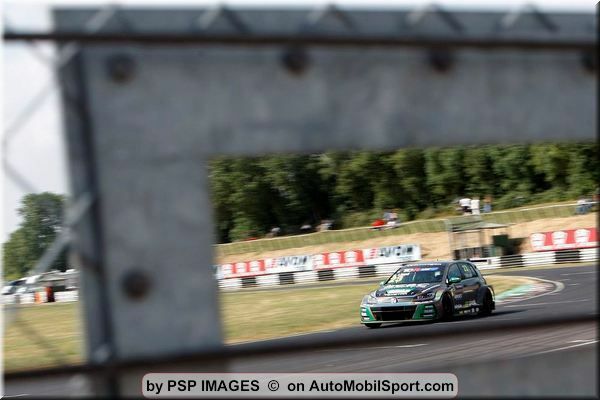 The TCR UK Championship now has a short three week turnaround before returning at one of Lloyd’s local circuits, Oulton Park in Cheshire on August 4/5.